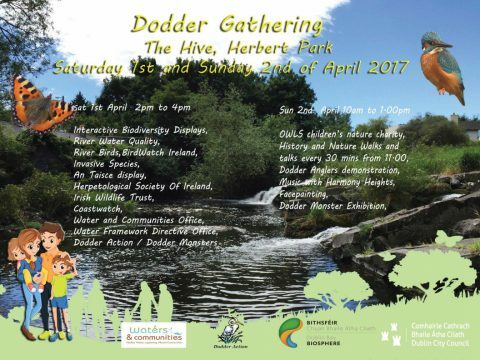 Why not head along to the Dodder gathering this weekend (April 1st and 2nd) at The Hive, Herbert Park. The event is a fun, free and educational way to enjoy the river Dodder and all it has to offer. INVAS Biosecurity will be on hand to answer any questions you may have regarding invasive species and their impacts on the Dodder catchment. 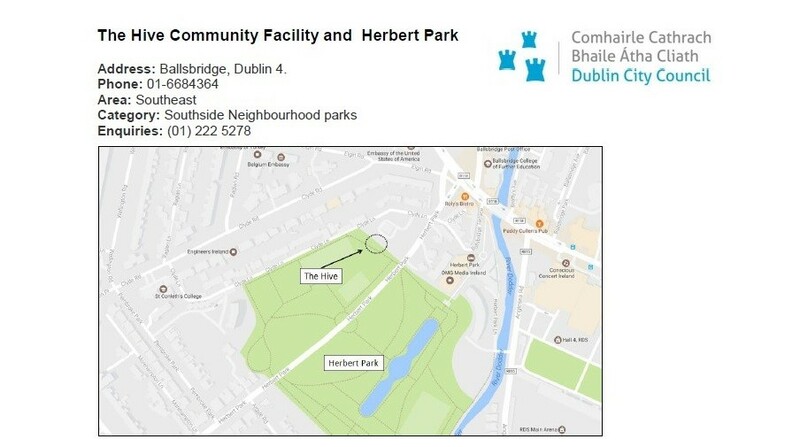 There will be a wide range of expertise with Birdwatch Ireland, the Irish Wildlife Trust , An Taisce, the Water and Communities Office and the Herpetological Society of Ireland in attendance along with several other groups on Saturday. There will be activities, displays and talks on throughout the two days providing hours of excitement and information. Listen to our very own Prof. Joe Caffrey (@INVASBio) talking about the impacts of Japanese knotweed and other invasive species on Drivetime (@RTERadio1) last week 9th March. Just click on the link below and skip forward to Joes’ interview at 02:20:52. They pose a massive threat to health, ecosystems, property and crops but so far, there has been little by way of a concerted effort to tackle the scourge of harmful invasive plant species. Introduced from abroad, often for their aesthetic qualities, there are currently about 340 different species growing in and around Irish waterways, hedgerows, parkland, forestry and farmland – and about 60 of these are deemed to be harmful. Plants like Japanese knotweed, Giant Hogweed and Himalayan Balsam are the most common of invasive species on Irish farmland and unless managed effectively, are a ticking time bomb that could end up costing millions annually. Prof Joe Caffrey is a world-recognised expert on invasive species and a director with INVAS Biosecurity, an Irish company that specialises in the control and maintenance of invasive species on land and water. The lecturer with the School of Biological Sciences at Queen’s University and a former senior scientist with Inland Fisheries Ireland (IFI), warns the problem is growing but the public is largely unaware of it. “While I was in IFI, I headed up an invasive species section. It was meant to be only a relatively small section of my work but it ended up being a full-time commitment,” says Prof Caffrey, who has devoted over 20 years of his career to working on invasive species. A Welsh homeowner recently successfully sued Network Rail for damage caused by Japanese knotweed to the foundations of his house and the devaluation of his property. Prof Caffrey believes this ruling, is going to have big ramifications. “I travel the country a lot and there’s a tremendous amount of Japanese knotweed growing right beside houses. “A very small fragment of rhizome, as little as a gramme, is capable of creating a new population. “When landowners, the Office of Public Works (OPW) or those working in construction on the roads are moving topsoil, if there’s any Japanese knotweed in that topsoil, even very small fragments will create new populations. “We know farmers move quite a bit of soil but this can be spread in the mud on the wheels of a tractor from one location to another. “Increasingly now, we’re seeing knotweed growing where a new house has been constructed and topsoil has been brought in and nobody realises.” The movement of topsoil is the foremost mechanism of spread but it can spread as quickly on the tyres of a tractor, in tracking machinery or even under a Wellington boot. Prof Caffrey urges farmers to seek professional advice if the plant is present on their land, as control at the earliest possible stage is the best option. “Cutting is the worst thing you could do because this will cause fragmentation and all you’re doing is removing the aboveground part but the rhizomes underneath, the most infectious part, remain. “Work on this plant should always be overseen by a competent professional. You need to draw up a management plan because it’s going to take two or three or even four years,” he said. Generally, the favoured route of treatment is to inject the stems with herbicide, a process that can take up to four years before the plant is eradicated. 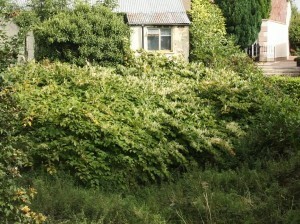 Legally, landowners are obliged to excavate knotweed and have it removed to a landfill. Prof Caffrey believes farmers have a huge role to play in its control and this can be achieved by implementing biosecurity measures like cleaning and disinfecting to prevent the spread. “I know farmers are very careful about pests and diseases and I would urge them to be equally conscious of the problem that is invasive species,” he says. “Even things like cleaning their boots or tractors, having worked in a certain area, is something that needs to be done and should be mandatory. “That’s the way forward and the only way we’re going to stop introducing and spreading invasive species.” He would like to see awareness about invasive species included in the curriculum at primary school level to educate people on how damaging invasive species actually are. It is the mission of INVAS Biosecurity to return Irish habitats to their natural state by controlling invasive species.